Get dressed up, and come enjoy a mint Julep! The Thor Platter Trio plays right after the race. Party starts at 4pm! 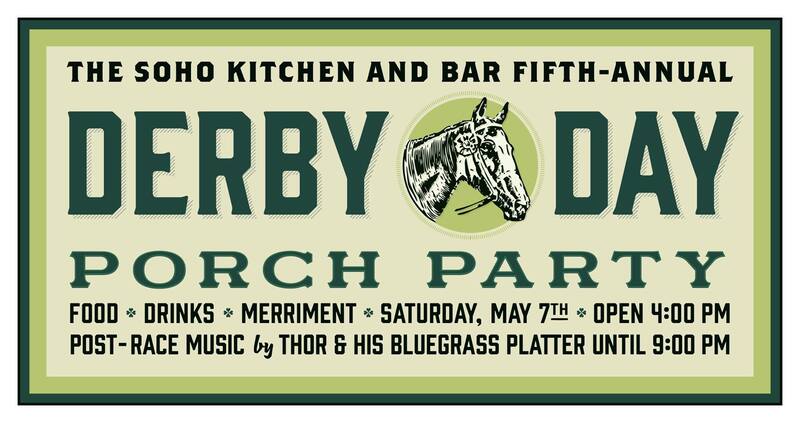 Our 5th Annual Kentucky Derby Porch Party, featuring the classic food and drink of Churchill Downs, and post-race live music by Thor & the Bluegrass Platter. Saturday, May 7th. Doors at 4pm; 6:34 post time. Because it’s a southern tradition. Dress to impress — we do it up.